Both gites have an open plan living room with English satalite TV, video and CD player. Patio doors open onto private patio area and open views. The stairs lead to an upstairs bedroom. La Petite Alsace also has a wood burning fire for Autumn visitors. Le Petit Paris has an open plan kitchen dining area. La Petite Alsace is a traditional French farmworker cottage with a character stable wall separating the kitchen from the dining area. Both are well equipped with large fridge freezer, cooker, microwave. There are several golf courses in the area offering quality and relaxed golf. The nearest course is at Aubeterre (9-holes) - 15 mins drive, where relaxed golf is the order of the day (tennis and horseriding also available here). A larger, 18-hole course, is found at Angouleme which is a well maintained municipal course, 25 mins drive. Also in the area, Cognac and La Preze offer good challenging courses with pleasant club houses and restaurants. Advice and help with booking are always available. Larger golf club course at Angouleme (18-hole), 25 minutes drive. Le Petit Maine gites are the perfect place to relax and unwind after a day exploring the pretty towns and vineyards of the Charente/Dordogne. The garden is ideal for relaxing and reading a holiday novel or playing a game of boules , whilst the pool is perfect for cooling off in the summer heat. The pretty gites themselves are well equipped, clean and comfortable. The owners, Kerry and Brian, are so welcoming and are always willing to suggest places to visit and help to make your holiday whatever you want it to be. An added bonus is the opportunity to dine at the garden Bistro with excellent cuisine cooked by Brian and Kerry using their home grown fruits, veg and local produce. We have come to regard le Petit Maine as our favourite place in France and this year will be our fifth time of staying there – we love it! Please note the price quoted is for ONE gite only. 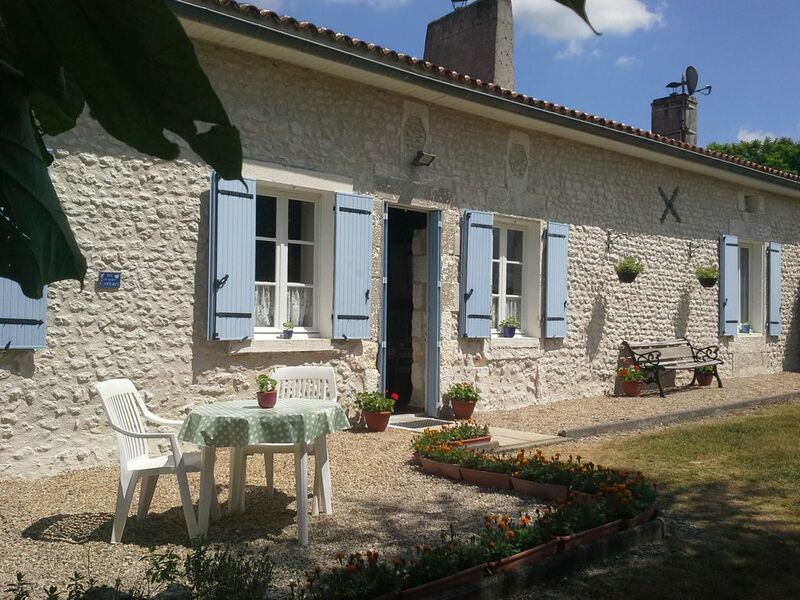 Le Petit Paris our 5 person gite is Ref 8024353 If you would like to book both gites, please make enquiries to both adverts. La Petite Alsace Ref 6928256 our 4 person Gite. Booking Notes: Bookings can be made by phone or via e-mail. A £100 deposit per week of your booking is required to confirm. Full payment must be made 12 weeks before arrival date or on booking if made 'last minute'. The deposit to secure your booking & covers excess heating charges, damage or breakages & will be returned if the property is found to be in an acceptable condition on departure. Changeover Day: Changeover day is Saturday. Arrival after 3pm and departure 10am to allow cleaning of the gite. This can be flexible out of peak season, please contact us to discuss your requirements. Notes on prices: Please refer to our private Le Petit Maine Gites website for more accurate pricing.